While walking on a trail through a densely forested area near where I live, I discovered a shallow ravine I had not explored before. Probably due to the dense undergrowth present when I venture there in the summer. 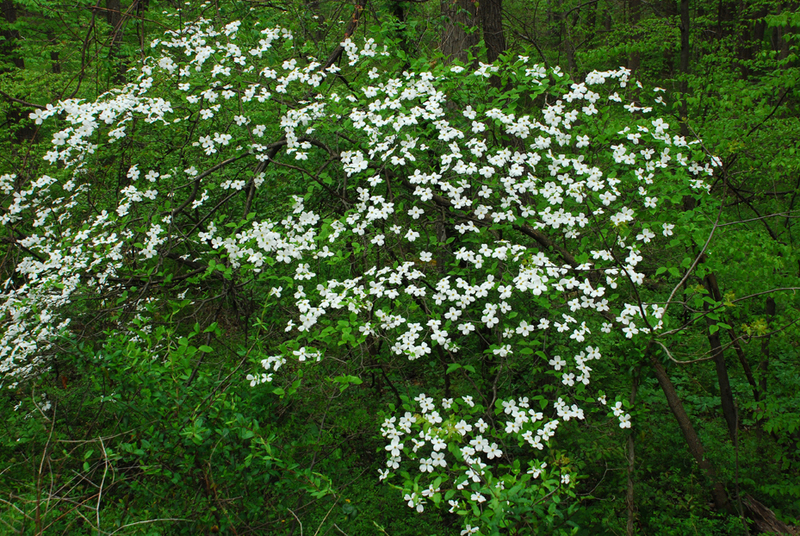 Dominating the field of view was a wild dogwood tree with it’s spreading branches and white blossoms. It seemed to form an umbrella protecting the new growth of the younger saplings. I chose to bring my monopod which doubled as walking stick, rather than my bulkier and heavier tripod, to shoot in the thick woodland. It would have been difficult to get a sharp photo hand-holding the camera with cloudy skies overhead, and being under the forest canopy. It can get pretty darn dark in the woods. So I’m glad I had the monopod. As it was, I had to bump up the ISO to 800 to obtain a relatively high shutter speed. I love discovering hidden gems like this, and they often show themselves when places that are familiar are visited at different times of the year. In keeping with the topic of my last post “Even Light”, I wanted to expand on the advantages of shooting in these conditions. In my experience, most colors are rendered better and are more saturated under even light. For example, I have found it easier to get a proper exposure of white and yellow flowers. When it is overcast yet still bright enough, there is more latitude in the choice of depth of field, shutter and aperture settings. Slower shutter speeds are easily obtainable since there isn’t as much light as on a sunny day. No need for a neutral density filter here. The only trade-off in shooting under these conditions is higher ISO settings may have to be used. But most cameras these days can handle higher values and still provide an acceptable image. 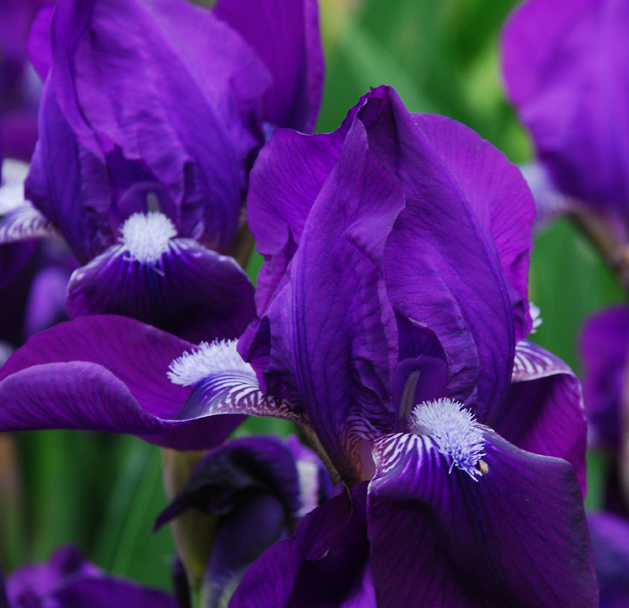 I have been wanting to photograph these purple irises for a few years. They always bloom long before any others I have seen. But every time I was in the area where they are growing, the sun was high in the sky. With the plants in the full sun, the color was washed out and the delicacy of the flowers was lost. I wanted to photograph the flowers in overcast light, and didn’t want to set up some kind of shade device. Shading the flowers would have worked, but the resulting light is a bit warmer than overcast light and was not the effect I was hoping to achieve. So I had to be patient and hope I would be in the locale when the light was more even, and they were still in their prime. Yesterday was an overcast yet still bright day, and I was lucky enough to capture them in their glory. Outdoor photography relies on nature’s light, be it the even light of an overcast day or the direct light of bright sunshine. Both have their value and I shoot in both. However, I freely admit I often prefer even light. Clouds or misty rain act as a giant diffuser eliminating harsh shadows. Subtle details and textures are more noticeable because they are not washed out from bright sunlight. And colors are often more vibrant. If there is a dull lifeless sky, I try not to include it in the composition so the center of interest will have more impact. This may limit my options of views, but since I am shooting in an even light, I am not trying to capture a scene featuring a more dramatic light source. I’ll save that shot for a sunny day. This past weekend, nature soaked the area with a steady rain for two days. 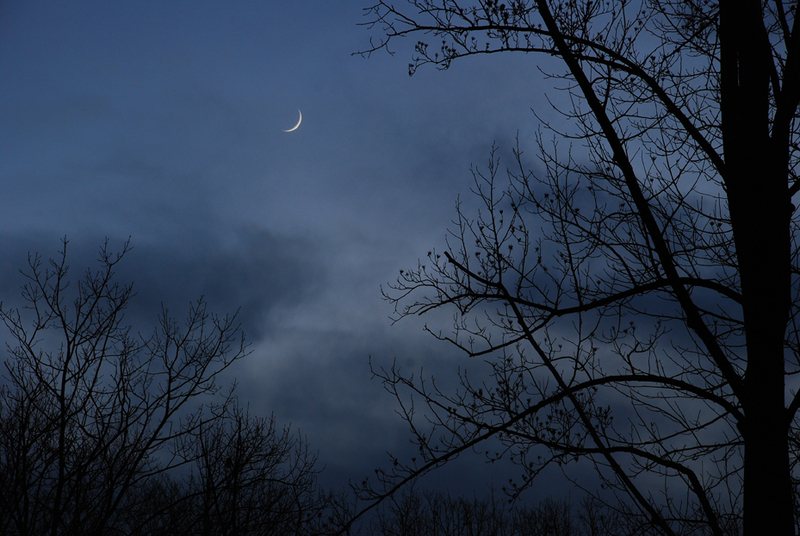 When the rain eased up a bit, I went outside and set up the tripod to get a few shots of the woods just off our deck. 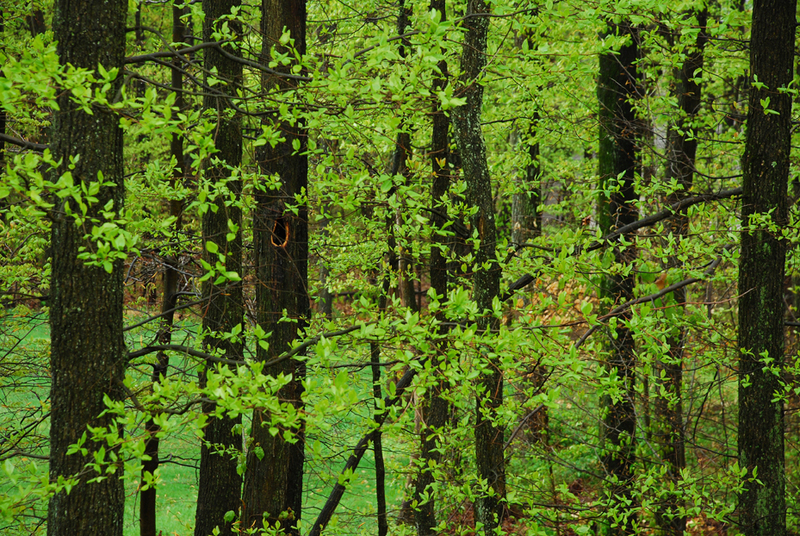 I love the contrast between the wet trunks of the trees and the fresh green growth of new leaves. Due to all the rain over the last few days, trees and shrubs seemed to have exploded with new growth overnight. And the lawn will probably need mowing every couple of hours over the next few weeks…there must be some kind of bionic lawn fertilizer in spring rains. Older homes inspired by a traditional colonial style is one of my favorite types of architecture. The houses have character, functionality, and individuality as compared to the cookie-cutter houses we see more often than not today. While on a pre-scouting excursion, I was able to capture a series of images featuring a colonial styled house, rather than the garden I will be shooting later in the season. I do have some overall photos of the home, but I feel that this small portion of the front of the house tells a more informal story. Since the sun was directly behind me, I had to stand off to the side a bit and crouch down, so not to cast a shadow on the wall. To me, the warm colors of the locally-quarried stone for the foundations and walls is cozy, inviting, and fits the wooded landscape. Functional wooden shutters add to the authenticity. As do the true multiple light windows. 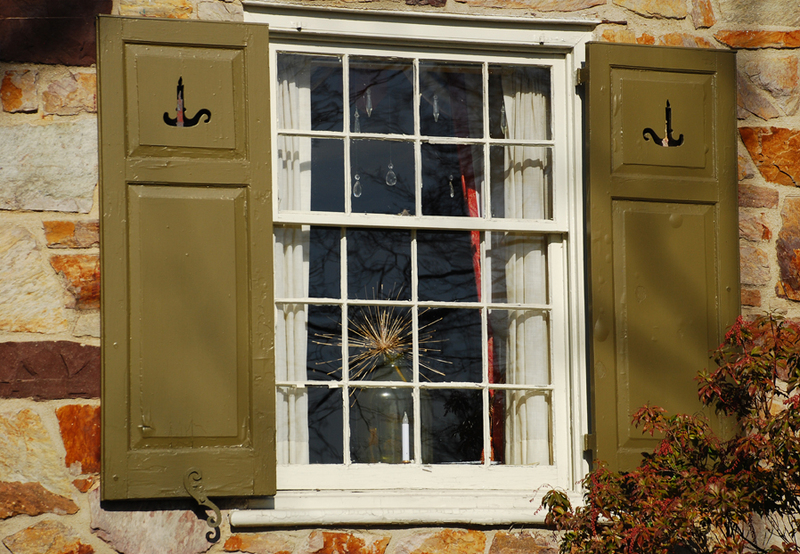 The window aprons and trim work from the older buildings have a distinctive appearance and level of craftsmanship not always seen in modern construction. A small detail, but one I feel is important to the overall aesthetics of a dwelling. The walls in older homes are typically thicker and have deep window sills. And as you can see in this photo, a rather large jardiniere is placed confidently in the window. They sure don’t make windows sills that wide in a typical new home! This house was built in the early 1940‘s, and it illustrates many of the traits I find attractive. Although there is still work to be done, the present owners have done a wonderful job restoring and maintaining the home. As photographers, whenever we are out and about, either going for a walk in the park or driving down the road, it pays to be aware of what’s around us. When we take the time to “participate in the landscape” as the late Galen Rowell said, photo opportunities present themselves. Spend some time in the park before getting the camera out. Walk the streets of the towns we live in and take a hard look around before putting the viewfinder up to our eye. Before we know it, this habit becomes second nature and we see things we may have missed had we not taken the time. I live in a wooded area, and the scenery changes from day to day. Especially this year with the accelerated spring season we are experiencing. Wildflowers are beginning to bloom and brighten up the forest floor, trees and shrubs are flowering and putting out new leaves for the season. When we walk the pups in the morning, not only are we watching what they are getting into, but we also keep an eye out for photo opportunities. I have found walking the dogs and carrying a tripod and camera is not an easy task. Our pups are terriers and are the determined sort. And yes, they do talk to us through facial expressions and body language. Well, the pups make a good point. Except for the fact the early morning light changes quickly here and is different by the time we get home from our walk. Which means I have to go back out and try to make do with exposures in brighter harsher light. I know I advocate using a tripod whenever possible, but there are times when it just isn’t practical. So instead of bringing the tripod or monopod, I put the camera strap back on, put the camera over my neck and also use a device called a stabilizer strap made by Optech. http://optechusa.com/stabilizer-strap.html. This simple strap allows me to go anywhere the dogs are determined to go, within reason, and not have the camera swing to and fro and bang into trees or myself. With no tripod or monopod, another issue comes into play. Low light and hand-holding a camera. Fortunately, digital cameras allow for situations like this. You can adjust the ISO to a higher setting and still get acceptable exposures when hand-holding a camera in low light situations. It’s not always the best method, but it sure beats missing a good photo-op, especially when you cannot make a return visit. Or when your puppy sees a turkey. My library of floral photography has been growing by leaps and bounds this season due to my many visits to garden centers and greenhouses. The subject matter is so diverse in these places, it should keep me occupied for quite some time. A big plus with photographing plants in greenhouses is the conditions are pretty constant. Temperatures are warm, although it can be a bit humid, plenty of light is available, and there is no wind to speak of. There may be a light breeze from fans used to circulate the air, but that can be dealt with easily. I just ask to move the specimen to a better location. And there are no sudden downpours to put a damper on the fun. Unless you step on a nozzle attached to a hose. 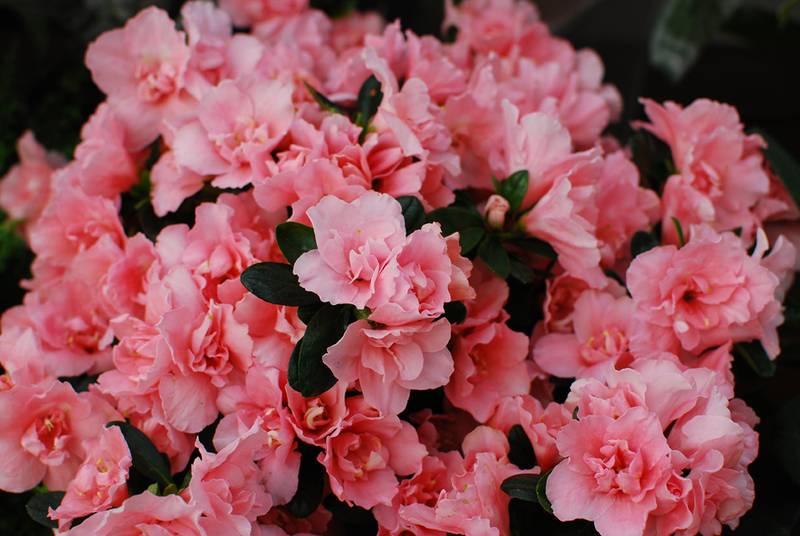 This is a photo of a dwarf azalea displayed among some foliage houseplants. Usually these are greenhouse grown, and meant to be displayed indoors as an early spring ornamental while they are blooming. It’s a shame, but most folks toss the plants after their bloom is finished. 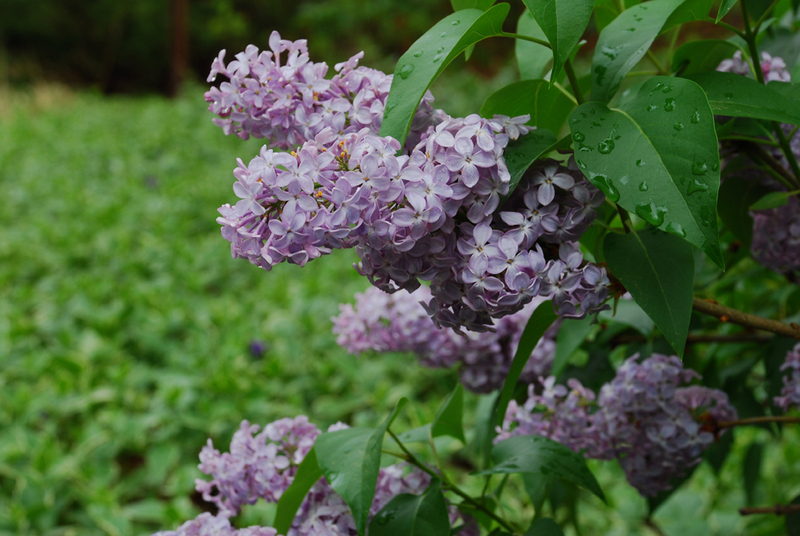 However depending on your climate zone, if you carefully and slowly acclimate them to the outside air and temperatures, plant them in a partially shaded area and be sure they get enough water, they will often survive outdoors. And they will put on a show year after year. Of course, that would eliminate one of your excuses to go the garden center again next year. IN THE FIELD: Where Are April’s Showers? The weather patterns we have been experiencing where we live are most unusual for April. Trees are showing their buds and spring bulbs have been blooming as expected for this time of year. But it has been unseasonably warm and extremely windy for almost two weeks. The biggest concern is we haven’t had any measurable rain since mid March, although light showers have been forecasted almost every day. We see the storms on the radar, but they never make it to our area. There must be some kind of force field over us which prevents the rain from reaching the ground. Last night, major thunderstorms were predicted to move into the area from the Northwest. And judging by the foreboding skies approaching us, flashes of lightning and rumbles of thunder, we thought for sure the heavens would open to give the trees and plants a well deserved drink. Nope…the force field remained in place and we received only a sprinkle at daybreak. In fact, everything was dry by 10:00 in the morning. Does anyone know a good rain dance?